Michelle, the bride, knew exactly what she wanted for their wedding invitation. 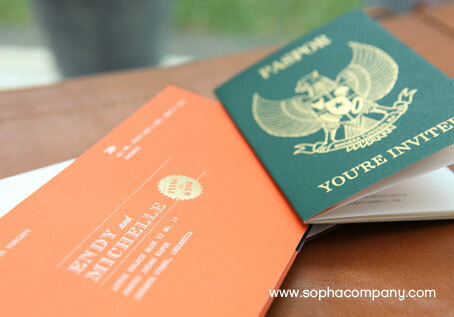 She was ready with all materials such as: color palate, themes and sketches for us to execute the invitation. 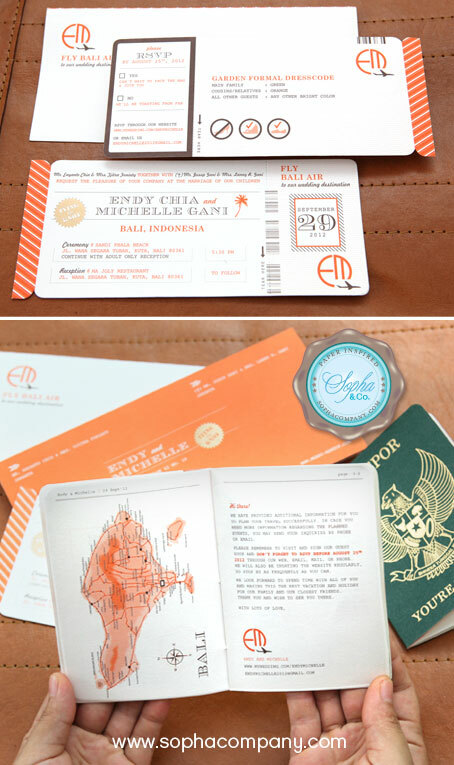 She wanted it to look like a plane ticket, passport and the envelope holder that goes with her "Bali Travel" wedding theme. It's one of my favorite wedding invitation we've done so far.